A malfunctioning valve sent water shooting into the air in the middle of a busy downtown Washington intersection Thursday morning. 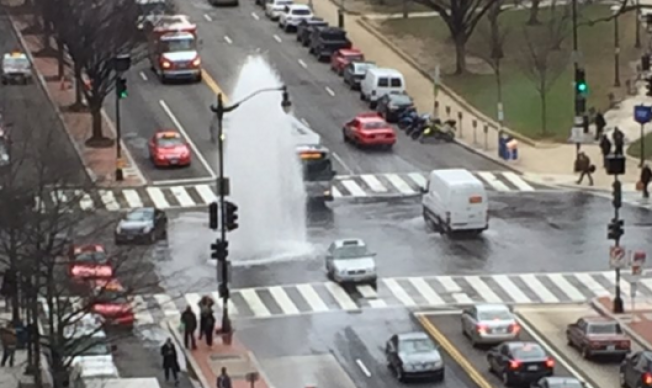 A News4 viewer sent a photo of traffic maneuvering around D.C.'s own Old Faithful in the middle of 14th Street and K Street NW. DC Water says the small geyser has been turned off. DC Water says the valve issue did not affect traffic.